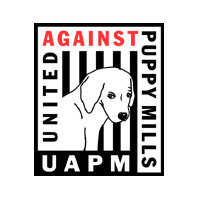 United Against Puppy Mills, Pennsylvania’s largest 501(c)(3) not-for-profit group advocating on behalf of the mill dogs, has reviewed Auditor General Eugene DePasquale’s recent report: Dog Law Enforcement Hindered by Lax Leadership, Inadequate Financial Controls (the “Report”). The Auditor General reviewed and assessed (i) the adequacy of the Office of Dog Law’s enforcement of the Pennsylvania Dog Law from 2008-2012, and (ii) whether, during that time, certain financial withdrawals from the Dog Law Restricted Account were in compliance with the requirements of the Dog Law. The findings were disturbing and shocking. Evidence throughout the Report highlights the Bureau’s misappropriation of funds, intentional and deliberate non-enforcement of the Dog Law and other instances of malfeasance, including the Bureau’s failure (in 2011) to comply with the required twice annual inspection of all licensed PA kennels pursuant to the Dog Law regulations. In addition, we are concerned that despite the findings in the Report, it does not appear that the Office of Dog Law Enforcement has remedied its past failures to actively enforce the law and that kennel owners are continuing to flaunt their failure to comply with Pennsylvania’s Dog Law. In one recent instance, Derbe Eckhart – a convicted animal abuser and ex-kennel owner in the Lehigh Valley – was found to be keeping more than 225 animals on his four acre property. Under the terms of Eckhart’s animal cruelty conviction in 2010, Eckhart was prohibited from possessing any animals (other than the personal pets he owned in 2010) for the following five years. Subsequent to an early release from prison, probation officers discovered the 225 animals at Eckhart’s property and found it necessary to wear masks and gloves to protect themselves from an “unhealthy environment.” Ex-Kennel Owner Derbe Eckhart facing new animal allegations, The Morning Call, September 17, 2013. The discovery of 138 birds, 23 chickens, 22 horses, 21 dogs, seven hens, five peacocks, four goats, three donkeys, three moneys, two turkeys, two large geese and “too many cats to be counted” on Eckhart’s property leads us to believe that the implementation and enforcement of the PA Dog Law has not been given a priority position pursuant to the findings in the Report. At a minimum, Pennsylvania dog wardens should have been regularly checking Mr. Eckhart’s property to ensure he was not exceeding 25 dogs, so as to require a kennel license, and to guarantee that rabies vaccinations and the individual licensing of the dogs was taking place. Had these simple checks been implemented, it’s likely that the recent menagerie of animals and associated neglect and abuse would never have taken place. We are curious if the Attorney General’s office has any plans to investigate the many instances detailed within the Report and would greatly appreciate the opportunity to review this matter with you further. You may feel free to contact me.